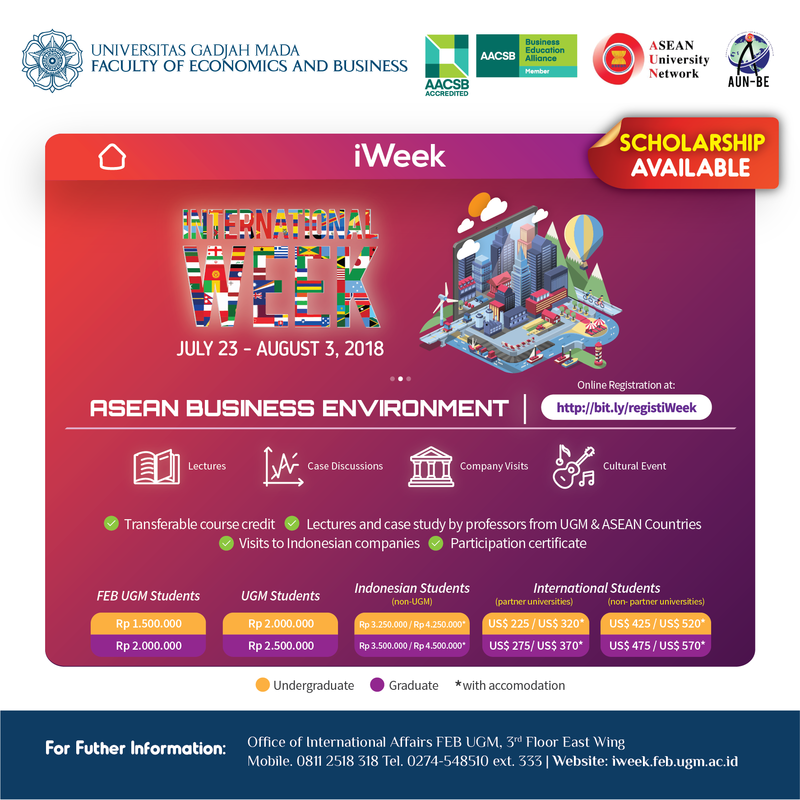 The ASEAN University Network (AUN) for Business and Economics Network or AUN-BE (AUN thematic network on business and economics education) hosted by Universitas Gadjah Mada is holding the 5th International Week 2018 on 23 July – 10 August 2018 at Universitas Gadjah Mada, Yogyakarta, Indonesia. International Week is a short academic program that feature a series of lectures, expert talks, company visits, case study discussions, and social and cultural activities. This year, the topic is ASEAN Business Environment. The participants can be students from both undergraduate and graduate levels from business or relevant faculties of your institution. Five scholarships for ASEAN students are available.